With a busy schedule that is “LIFE” a lot of us turn to ordering items online for our loved ones. And so many things these days are safe bets, what you see is what you’ll get. But what about ordering things when you’re not sure of the site, this is where people’s online reviews come in extremely handy. Reading reviews on items, products and companies can really help someone to decide if the order is right for them. I always try and make time to review the things that I buy if the website or the brand has this service available. Having ordered 75% of this years presents online, I’m now going to outline where I have purchased things from and rate them on the usual aspects too. I hope that if you’re still in need of some gifts you will consider these places to order from. Item/s I Bought: Books and Technology. Was The Item As Described: Yes Exactly As Described. Value for Money: Excellent Value for Money when Shopping Around and Comparing. Delivery: Despite Choosing Free Delivery (Up To 7 days) It Arrived In 4 Days – Great. Women’s Clothing and Shoes and Accessories Online. Item I Bought: Pair of Boots. Was The Item As Described: As Shown, Fitted True To Size and Nice Details. Value for Money: Great Value for Money, I had a 20% off voucher that day too. Delivery: Excellent Delivery Time but I paid £3.99 for the Delivery. Massive Range Of Beautiful and Unique Jewellery Online. Item/s I Bought: Sterling Silver Necklace and Necklace Chain. Was The Item As Described: Yes Very Accurate Description and Photo on the Site. Value for Money: Excellent Quality and Value for Money. I had a 20% voucher too. Delivery: Delivery is Advertised as 1st Class Next Day for orders over £10 (Mine was 3 days late but I think it was due to bad weather as it stated it was dispatched). Photo Gifts including Calendars, Prints and Photo Books. Item/s I Bought: Prints / Photo Book / Calendar. Value For Money: Excellent Value – Look Out For Website and Email Deals. Delivery: Standard Delivery 3-5 Working Days or 5-7 Days – Both Were Good. Perfume and Fragrance Shop Online. Item/s I Bought: Perfume and A Free Gift. Was The Item As Described: Yes As Described, Excellent Gift too. Value for Money: Great Value as it included a free gift too. Delivery: Excellent Free Delivery, Arrived In 3 days when they stated 5 days. Men’s Clothing and Shoes and Accessories Online. Item/s I Bought: Various Clothing Items. Was The Item As Described: Yes, As Pictured On The Website. Value for Money: There was a discount of 20% off available that day and the clothing is of excellent quality too. Delivery: Excellent Delivery Time and Free Standard Delivery with what I spent. TIP 1. If There Are Reviews On An Item You’re Browsing Then Read Them. TIP 2. Shop Around On Different Websites For Similar Items And Compare. TIP 3. Sign Up For Email Newsletters, They Often Send Vouchers Or Codes. TIP 4. Consider The Website Parameters For Free Delivery And Attempt To Reach It. TIP 5. Always Make Sure You Are Buying On An Authentic Website (Padlock In Search Bar). 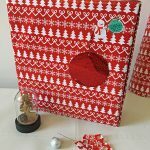 Have You Seen My Post About How To Make Your Own Christmas Boxes? Thank you for reading this post today, I hope that you have enjoyed reading about these great companies and websites. It is almost Christmas time! If you’re still doing some shopping I hope my reviews have helped! Have a great day! This entry was posted in BooHoo, Christmas, Gifts, Jewellery Box, Photography, Reviews, Sabrina's Top Tips, The Perfume Shop, Topman by Sabrina. Bookmark the permalink.